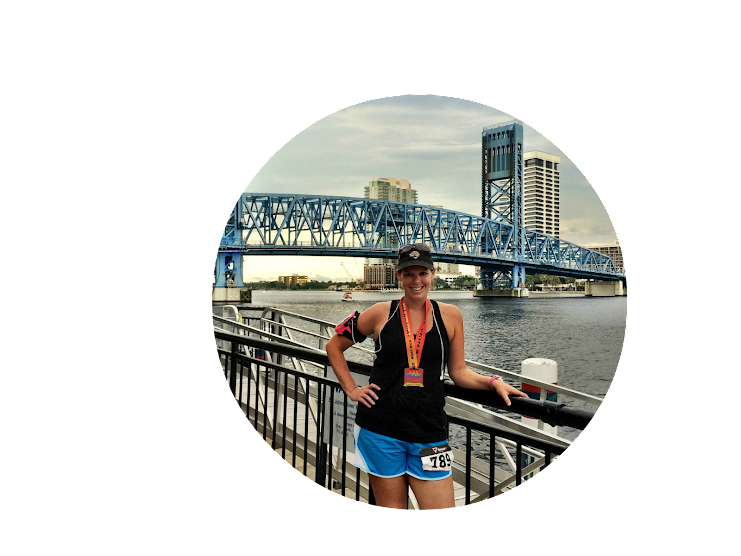 One thing I have noticed about myself, since I started running, is that I am very particular about the things on my person when I head out for a training session. The toes of my socks have to be positioned just-so. My ponytail can’t be too high or too low or too tight or too loose. my Armpocket has to be in one certain position, and my Garmin band must be precisely buckled on the right notch. If any of the above are incorrect, I find myself struggling to get into my groove until I’ve fixed the situation. It’s a rare kind of amusing and annoying. The biggest thing I have struggled with, though, has been my shoelaces. For whatever reason, I had the hardest time getting them laced right the first time. 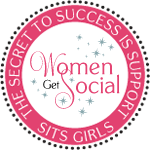 There always seemed to be some form of discomfort over my arches, which would lead to me stopping, adjusting, tugging, fixing and fiddling with my shoes. Some days were better than others, but the issue was always there. I had been researching different ways of lacing to help give me some relief, and planned to try some new techniques after the Gate, when I came upon something very interesting at the expo of the same race. In the back corner of the room, a tall gentleman was holding a sign that read “shoelacessuck.com”. Of course, sharing that exact sentiment, I made my way over and found myself at the Riplaces display. 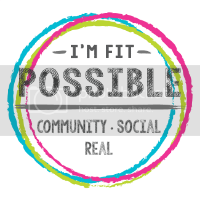 I was very interested as one of the men at the booth explained the concept to me: my $15 purchase would include 60 “bands” (high-quality, continuous, bungee-like elastics – 12 each of five different sizes) and seven “core” pieces (plastic pieces to which the bands would attach). It was up to me to choose the size of Band to thread through each set of opposing eyelets in my running shoes to create a comfortable tension at each point of my foot. And of course, once all the Bands were in place, there would be no need for tying or untying anything. It sounded like the answer to my shoelace problems. I wanted to mull it over so I wandered off to look at other booths. I had seen other systems that involve elastic-y laces and gadgets that keep bows from untying, but nothing so individualized as how Riplaces were explained to me. At $15, I certainly had nothing to lose, so I returned and picked out my colors: teal Bands and gray Cores. I had to wait to get my new inserts before I gave my new purchase a try. The inserts would change the way my feet sit in my shoes, and it was important to make sure I had the right fit. 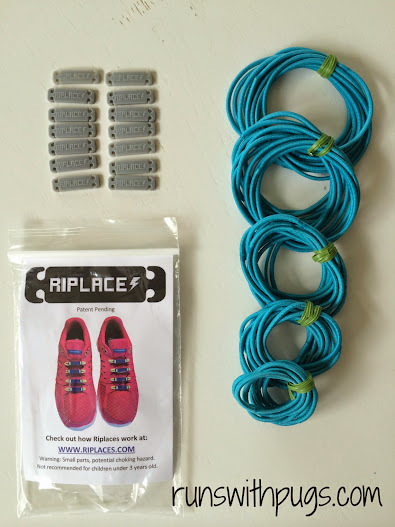 There is a really fabulous YouTube video that explains how to “riplace” your old shoelaces with this new system, using the bagties that hold the different sizes of bands together as a sort of needle to thread the elastic through eyelets. I will admit that I skipped this step and managed the whole thing with a safety pin. Whatever works, right? I was impatient and wanted to get the job done stat. The end result was heaven. I took them for a test run and it was wonderful. I loved not having to tie my shoes. I loved that I finally had that extra bit of give over my cranky arches. I loved that I could feel the extra freedom of movement from the elasticity of the bands. And not once did I have to stop to adjust anything to do with my feet. I do have feet on the larger side (I wear a size 10 in my Mizuno Wave Inspire 10s), and I used the three largest sizes of bands in my lacing. I do wonder if one larger option might become available – I can see them being a bit too snug for someone with a bigger, wider or higher foot than me. In the meantime, though, I am enjoying the fact that I have one less thing about which to be particular when I am running. Do you have any things that cause you annoyance when you’re running? 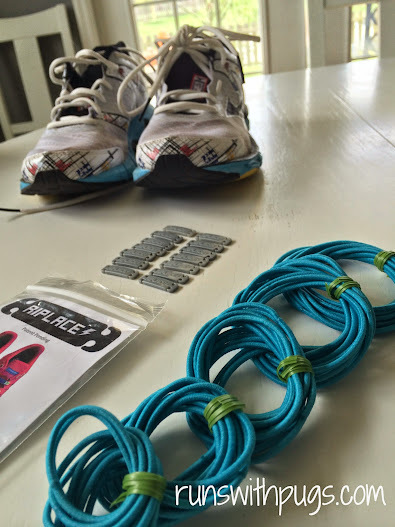 Do you use any kind of nontraditional laces in your running shoes? I’ve never heard of riplaces, but wow they look cool. I have elastic laces on one pair of my shoes, and they have been a treat, but I don’t have them on my brooks, as they are ill fitting. I know what you mean about the watch, I’m the same. They are pretty awesome. I will definitely be getting more for other shoes. So convenient. I’ve never heard of or used these but I have Lock Laces which are a bit similar. I love them and need to get more! They keep my shoes comfy on my feet and I don’t have to worry about my laces coming untied. Isn’t it funny how the right shoelaces can make all the difference in the world? I have two pair of lock laces I never remember to put on my sneakers, but these look really interesting too! I may have to try them out! They are great! Definitely a new must-have for running! First off, I am very similar in that everything must be JUST SO. I had things that move, especially. Shirts that slide around, shorts that don’t stay up, etc. drives me BATTY. I’ve always been known to adjust my Garmin. Too loose & it flops around (ANNOYING!!) but too tight & it feels constricting. The shoelace bands look cool! Those would be great for kids too! I’m glad I’m not the only one who is incredibly particular! It’ shard when all those thing stet so annoying and distracting! They would be great for kids! Most of little man’s shoes are velcro so I didn’t even think of it. They do make smaller Core pieces for kid’s and women’s shoes, though. Interesting! I am very particular about how I tie my shoes. I may look into these. Side note: How do you like your Inspire 10s? I have the 9s now, but I am at the end of my mileage. I know the 9s were discontinued, so I am trying to decide if I should go with the 10s or try to find 9s online. Oh, my goodness! I can’t imagine how irritating that would be to get whapped with the little plastic things! That’s a very interesting idea. I remember you mentioning them in a different post. 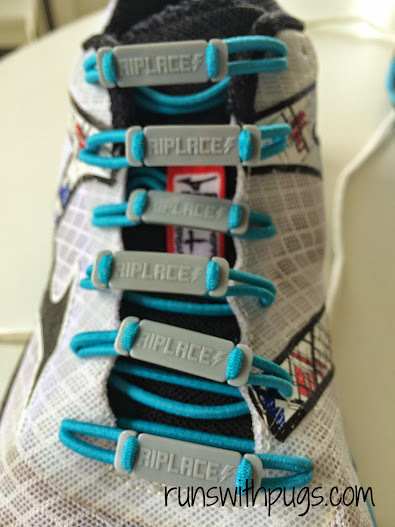 I actually have never given much thought to my laces before, I probably would have written this product off before, but it is really interesting to read that they worked so well for you! There are certain things that others swear by where I just don’t see a need (or, don’t see a need yet), but the Riplaces have definitely been an improvement for me. I have never tried any nontraditional laces but I always double knot and never have a problem. Although with my new pair the laces seem a bit shorter, I hope that doesn’t end up causing them to untie! I have never tied any non conventional shoe laces but I love the idea! I did try lacing up differently as suggested in a Runners World video and that seemed to work for one pair of shoes I had. There are so many options for lacing. 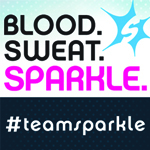 I think it’s hilarious that something so silly could cause so many problems while running!